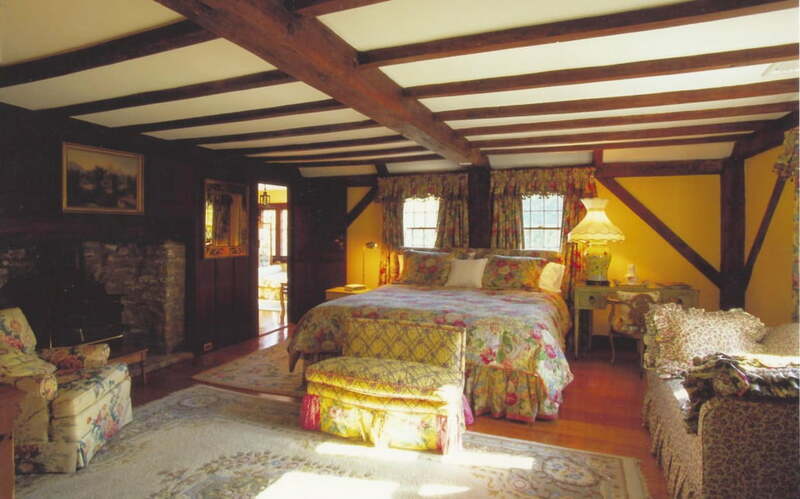 This house dates back to 1690 and required extensive restoration and renovation to convert it into a bed and breakfast. 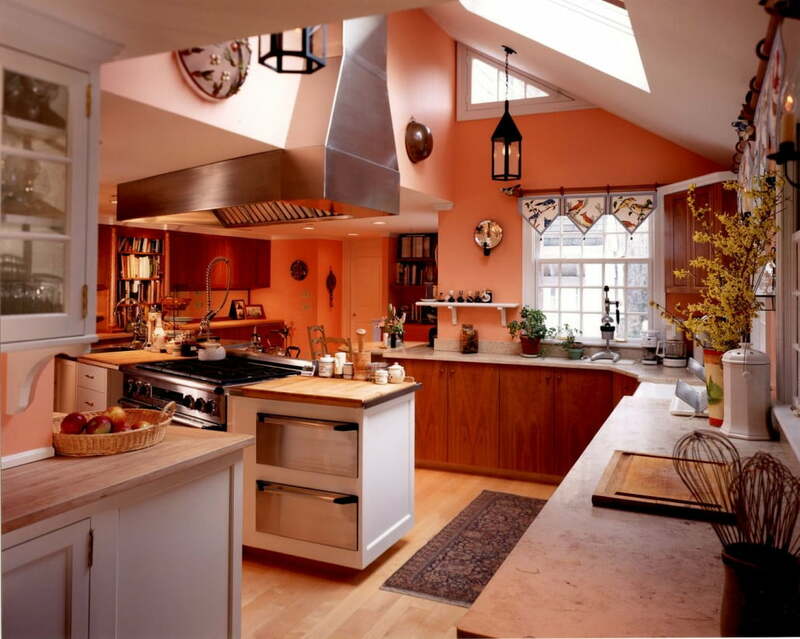 Renovations were completed within eight months and included all new mechanicals and a new kitchen. 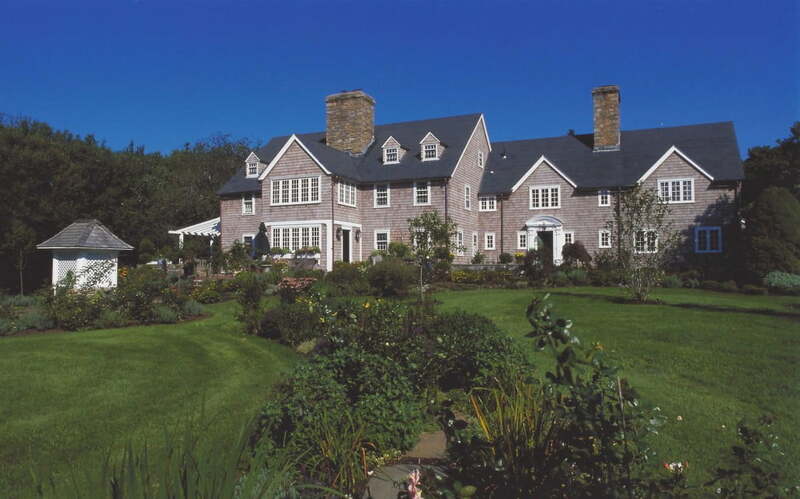 Maintaining historical character was vital to the project. 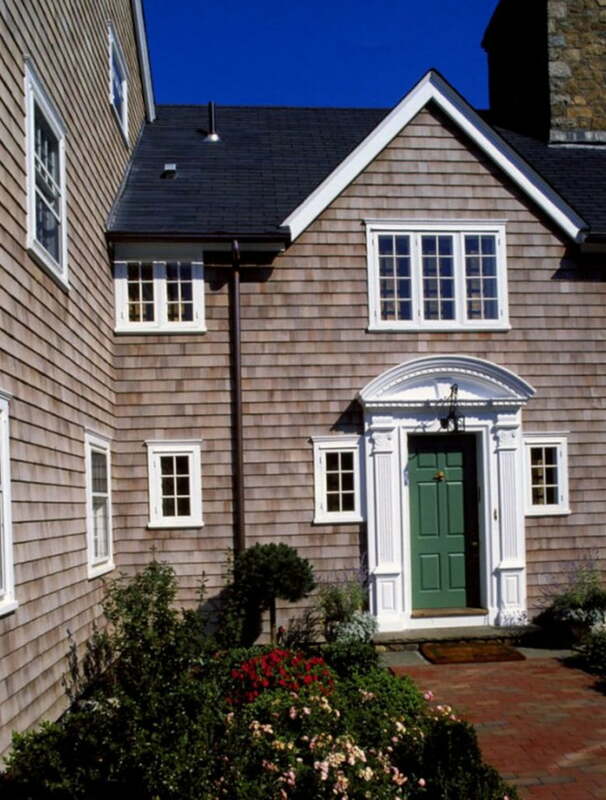 All exterior trim, including the ornate trim around the welcoming green front door was restored. A new door custom-made in Baud's millwork shop replicated the old door. 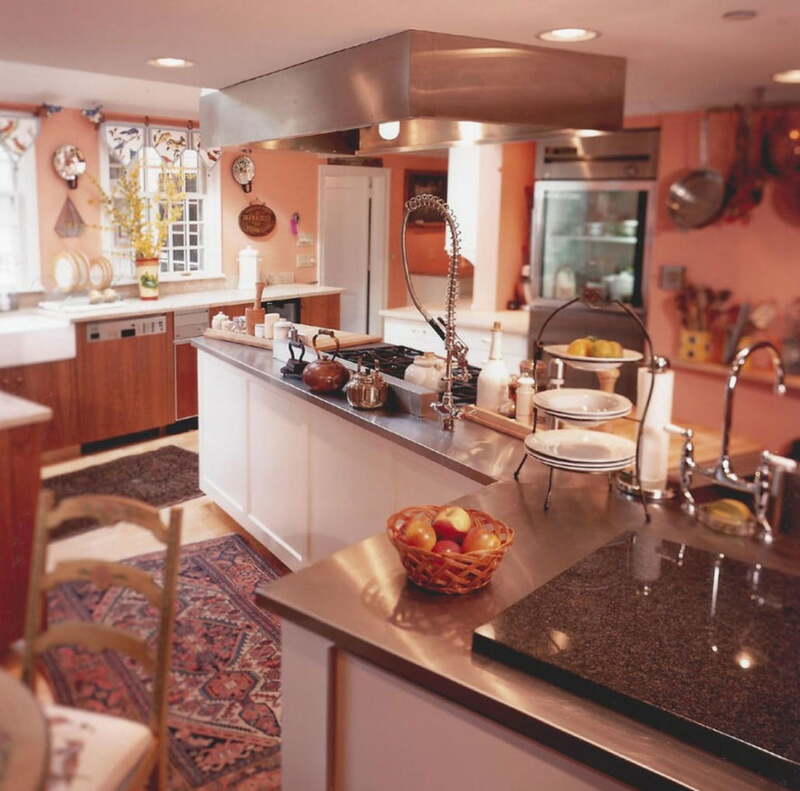 Walls were removed from adjoining rooms to create a fabulous commercial-style kitchen, necessary to create gourmet breakfasts for guests. 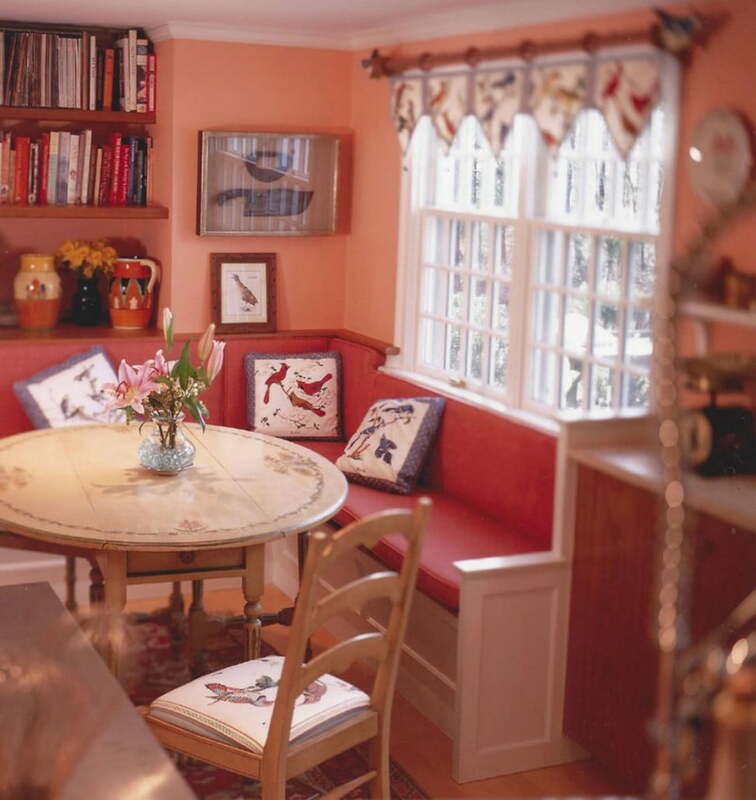 This custom built nook gave the owners a space for their morning coffee while prepping breakfast for the guests. Fire code regulations required a commercial grade Ansul fire suppression system in the kitchen. The custom stainless hood conceals the system. Butcher block counters act as a resting place for items pulled from the oven. A sprinkler system was required throughout the house due to fire code regulations. 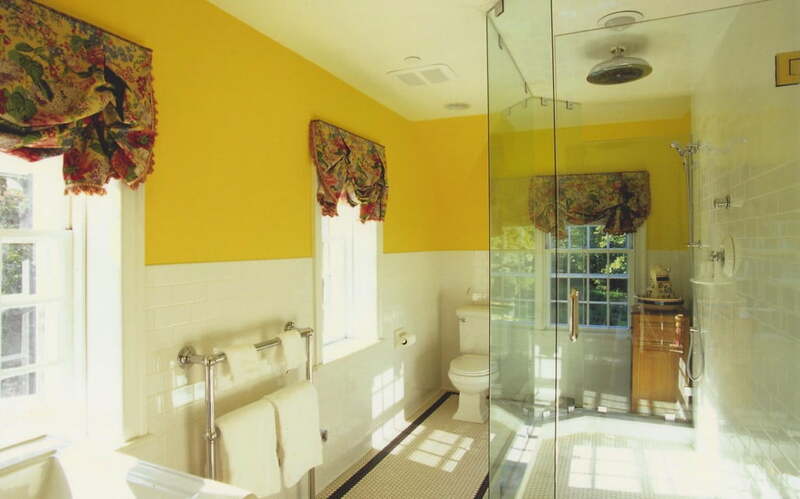 An existing cistern in the home was utilized as the water source. Sprinkler heads and pipes were indiscreetly installed as well as air conditioning ducts. Modern amenities completed all bathrooms for discerning guests of the bed and breakfast. A full glass shower with rain showerhead and heated towel rack are a couple of highlights of this bath. 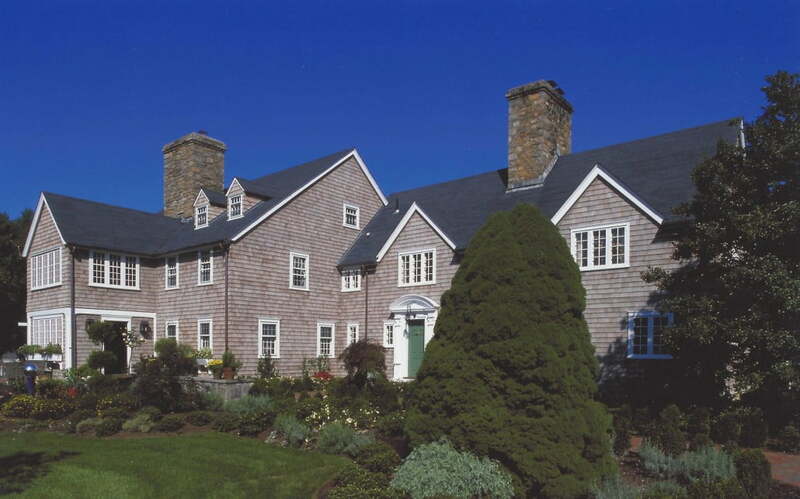 Red cedar shingles were used on side walls and new copper gutters and downspouts were installed. All windows were restored to their original state and design with new trim.